You think you’re updated with all the flagship smartphone news going around? Let’s check it now, shall we? Choose one best smartphone out of Samsung Galaxy S6, LG G4 and HTC One M9 (or One M9+). If you choose HTC One, then you lose it straight. I’ll soon let you know why! This year, if we just talk about Android smartphones, then only LG G4 and Samsung Galaxy S6 are going to be main competitors. PS – This is an early comparison and head-to-head comparison between LG G4 vs Samsung Galaxy S6. At this moment, S6 is the only smartphone available and well-reviewed around the world along with One M9. But there is hardly anything left to discover about G4, thanks to the last information leak. Okay, let me first clear this HTC device so that we have only two left to focus and compare. The One M9 doesn’t have a better camera (as in 2015 standards), it doesn’t have unibody design like its One M8 and it misses out the fingerprint sensor. The rest of the features are good but still not getting the camera recipe right is definitely going to hurt the device (it has already begun). So, with that device is out now on your mind, we can focus on the remaining two. Oh, wait! Did you just name Sony Xperia Z4? It isn’t a good time to discuss whether that’s going to be a champion or not but I still get a strong feeling that Sony’s nightmare is going to continue this time. Now, let me come back to the topic. 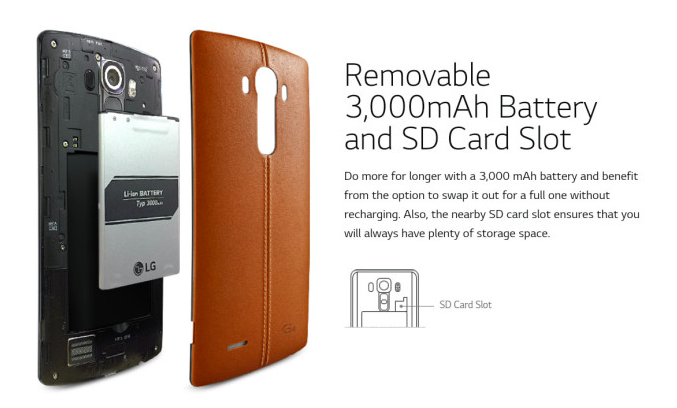 LG G4 is going to tear down each and every flagship Android around the world. I’m not saying that because of any likeness as I’m going to cover my statement in details. You do have right to keep your likes for Galaxy S6 but at least hear my side of the story. I promise I’ll hear yours too, but only if you share in the discussion area (Will you? Promise?). 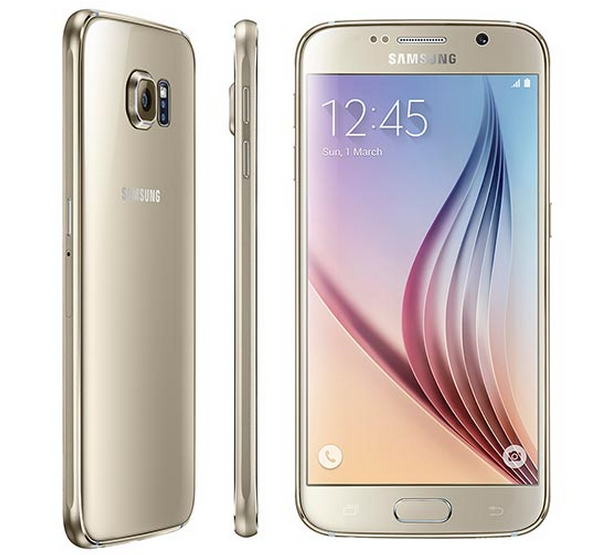 No doubt, Galaxy S6 is the beauty! No other Android smartphone is going to touch that score card, at least for now. But that doesn’t mean that G4 got anything bad. That device also holds onto a simple, elegant design and a premium build, of course. LG is all set to launch its flagship in two variants of the build. One will hold onto a premium feeling plastic cover while another will have real leather cover, both in different shades. Theoretically, S6 looks better here in comparison but during practical usage, it is very slippery. And the blame goes to its Glass (Gorilla Glass 4, technically) made rear. Now, unless you have a lot of money to buy new flagships anytime in the year or to manage their repairing expenses (which are huge, we all have experiences), you need to keep the device covered. That clearly means that the beauty factor is going to fall down and the scorecard will then be somewhere equivalent to that of G4. 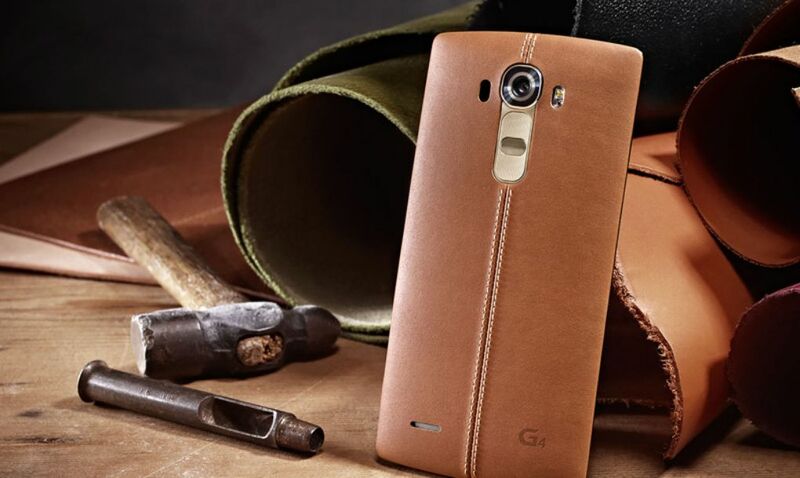 Moving to details in the case of G4, it’s offering a real leather and plastic back cover. Talking of the premium one, the leather back is surely going to offer a firm grip which may not require an extra cover. Also, LG has already made it clear that the device will have an arc shape, thus making it comfortable to hold and use. Now, I believe that we both have these two devices on an equivalent page, true? Winner – Practically, no one. Theoretically, Galaxy S6. After that break down of design part, let’s talk about software. Samsung has managed to remove all of its cluttering applications from the device but not completely. Those apps and options are still in there, but needs to be activated and unless you’re a fanboy, no one is going to recommend you to bring them out of their cave. While we are already enjoying TouchWiz in its best form, LG is teasing everyone with its next UX skin. According to the video teasers, the all new UX has taken care of most of the options that count in spoiling the user experience. We all are aware of how bad LG is when it comes to Android skin. But, this time, LG is trying to convince that those ‘Old days are gone”. It will be too early to conclude who is a winner in this section but unless LG launches G4 with pure stock version of Lollipop (or slightly tweaked like of Motorola), this section is going to tie. Don’t forget to watch this video. Winner – No one, it’s a TIE! While S6 holds the crown for best Android camera smartphone, G4 seems to claim that soon enough. During practical usage, there won’t be many differences because both the devices seem to have similar standards of camera technologies. But when it comes to minor details, and of course as we have to choose a winner, G4 is going to win by a little margin. That’s all because of its rear camera that features a lens with f/1.8 while S6’s rear camera features a lens with f/1.9. This 0.1 difference in the aperture can easily do little wonders when it comes to quality or imaging. That’s because lower the aperture, wider will be the gate open to allow light to enter. While we all are aware of how awesome G3 camera was. 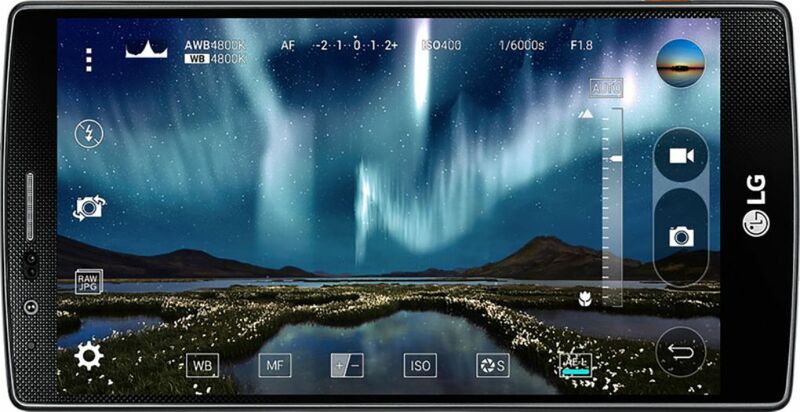 This official news will get you yelling that G4’s camera will allow 80% more light to enter, comparatively. Now, the rear camera part is clear, right? If not, then check out this coverage dedicated to G4’s camera and you will know other details. Let’s talk about Selfie camera now. 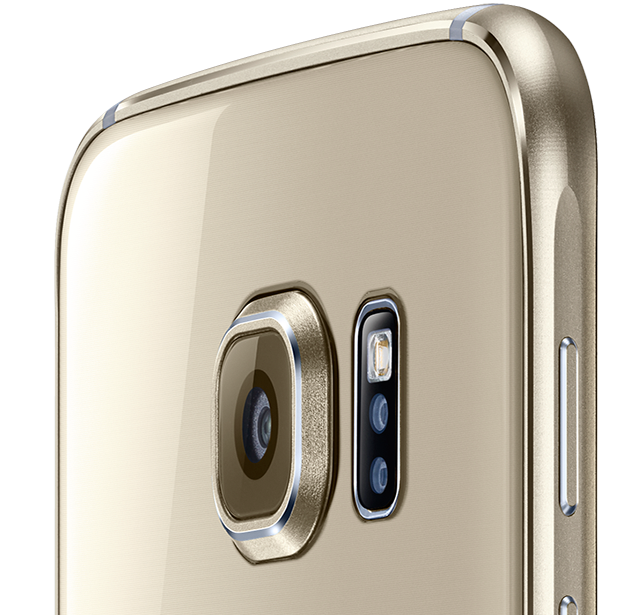 S6 holds onto 5MP camera and G4 is about to have an 8MP one. You decide it now? In order to carve that beautiful body for the S6, Samsung has to give up on two things, the microSD card slot and removable battery. These two were the standard feature which Samsung sticked with but not anymore. If you were buying a Galaxy flagship rather than iPhone, just because of these two additional benefits, then they are no more a part of the family. And, since we are talking Androids here, so G4 is the newcomer who is intelligently taking care of this #GalaxyS6GiveUp. Yes, G4 is said to possess removable battery and a microSD card slot which is definitely going to support up to 128GB size. The internal storage is said to be 32GB in this case. Note – To update you, Samsung is using an upgraded version of internal storage, which offers improved data transfer speed. Even if the microSD card slot was there, then it would have spoiled the experience easily. So, with that additional benefits now part of only the LG device, G4 is going to be the new crown droid. Considering every factor as compared above, it seems like LG G4 is going to win the battle. You can now start sharing the news with your friends but don’t forget that I was first to make this bold confirmation. You can now tease all your friends who already purchased Galaxy S6 and beat them by buying the all new G4. I hope now you’ll be eagerly waiting for the device to be available in the stores. We don’t have much info to be aware of, in order to wait that eagerly for officially launch event.